* A 'bomb' low is technically known as ‘explosive cyclogenesis’, and is defined as a low pressure system that deepens by at least 24hPa in 24 hours, with a small correction for latitude. Often in the media a weather system may be referred to as a ‘weather bomb’ when this criterion is far from being met. 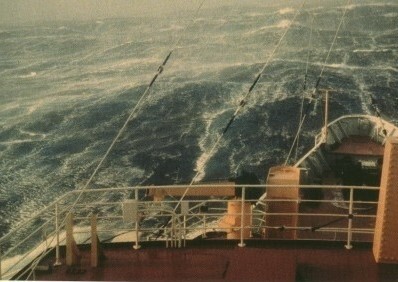 Without any other qualifier, a storm is simply a weather system with storm-force winds (averaging over 47 knots or 88 km/h). Note that the threshold is for the average wind speed – a storm-force gust doesn’t count as a storm! This is explained in this great blog post on the Beaufort scale https://blog.metservice.com/BeaufortWindScale. Heavy precipitation is also likely in a storm, but not a necessary condition. However, ‘storm’ is often misused to mean a weather system with much lighter winds, for example gale force winds with average speed greater than 33 knots (61 km/h). You may often hear of a ‘northerly storm’ followed by a ‘southerly storm’, particularly among skiers, which is both a misappropriation of the wind speed requirements, and missing the point that a northerly followed by a southerly are often elements of the same weather system. A better phrasing would be pre-frontal northerlies followed by a southerly change. In the South Pacific region a tropical storm is defined as a low pressure system developing in the tropics (within 25 degrees north or south of the equator), with sustained gale-force wind speeds (averaging 34 to 63 knots, 62 to 117 km/h). Tropical low pressure systems are different from mid-latitude low pressure systems in that they are ‘non-frontal’. In the mid-latitudes (between 25 and 65 degrees north or south of the equator), large-scale weather systems generally form on boundaries between areas of contrasting warm and cold air; these boundaries are known as ‘fronts’. In the tropics there is much less variation in temperature, so low pressure systems form within a single air mass, and are ‘non-frontal’. Once a tropical storm moves beyond 25 degrees of the equator, it becomes a subtropical storm, provided it retains gale-force winds. Such a storm can also form within the subtropics from a non-frontal low pressure system, provided it generates enough wind. If it then interacts with cooler air that originated in mid-latitudes, it transitions into a hybrid system resembling a frontal mid-latitude low pressure system. A thunderstorm is a much smaller weather system than a tropical storm. In large continental areas such as the United States, thunderstorms can be over 20 km across, but in New Zealand thunderstorms rarely exceed a kilometre wide. A thunderstorm is a convective cell, where heated air rapidly rises causing heavy localised showers, thunder and lightning, and often hail. For more on what convection is see https://blog.metservice.com/node/910. Note that a thunderstorm is a single cell, but sometimes multiple cells can merge and interact. These could be spread out, or join together to form a supercell, or form a line known as a squall line. 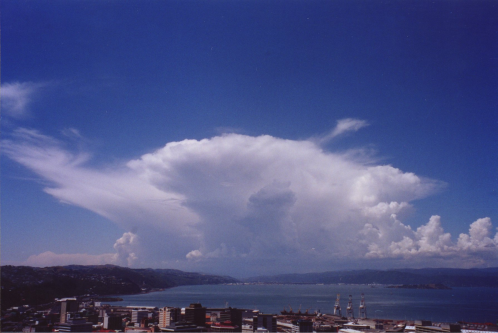 Impressive cumulonimbus (thunderstorm) seen from Wellington. Image courtesy Allister Gorman, MetService. 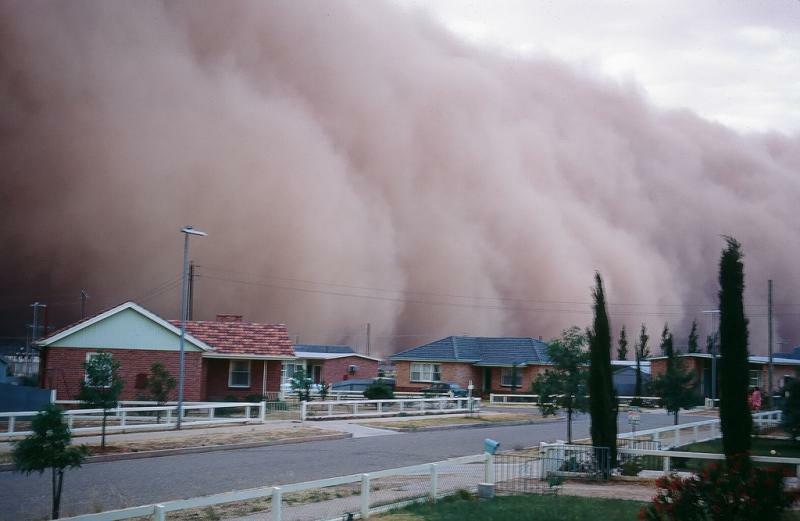 Dust storms and sand storms occur when strong winds pick up and transport small particles of dust or sand. The wind may be due to a front or a downdraught from a thunderstorm. Dust storm in Sydney, Australia, photographed by expom2uk on flikr. A geomagnetic storm is due to space weather, not terrestrial weather. During a geomagnetic storm the Earth’s magnetosphere is disturbed by a temporary increase in the solar wind, a stream of charged particles emitted by the sun. There are many types of storms, with different characteristics. But in the case of general windy, rainy weather, it is only a storm if the average wind exceeds 88 km/h. 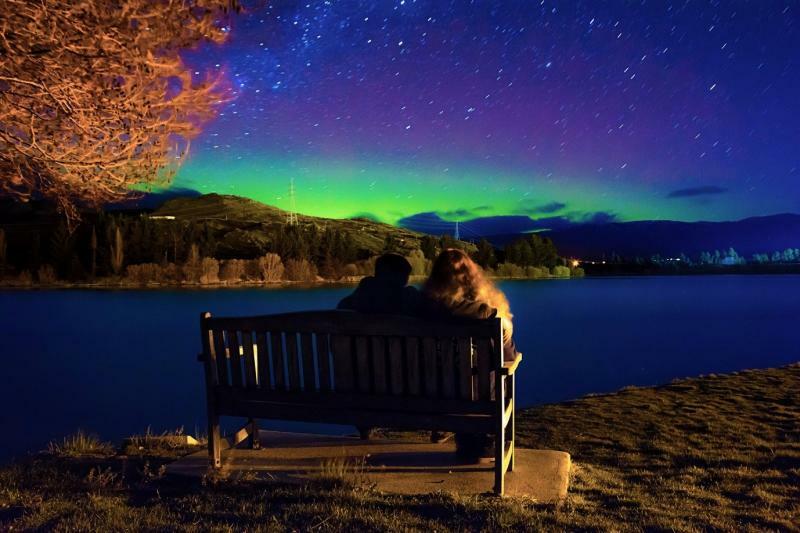 This is actually rare in New Zealand, even in Wellington! For example, we can look at the last ten years in Kelburn, Wellington, a notoriously windy spot. Between the first of December 2006 and the first of December 2016, the wind speed only ever got up to an average speed of 81km/h, but gusted over 88km/h 3.6% of the time!